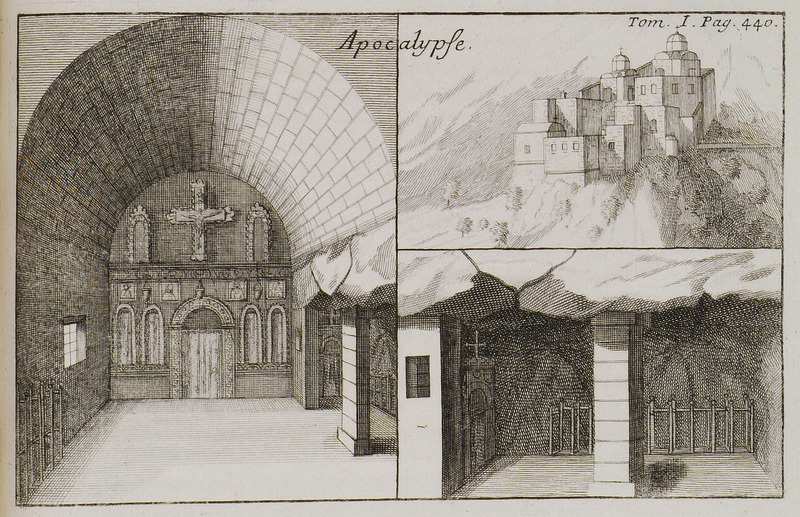 The interior of the Apocalypse Cave, Patmos. 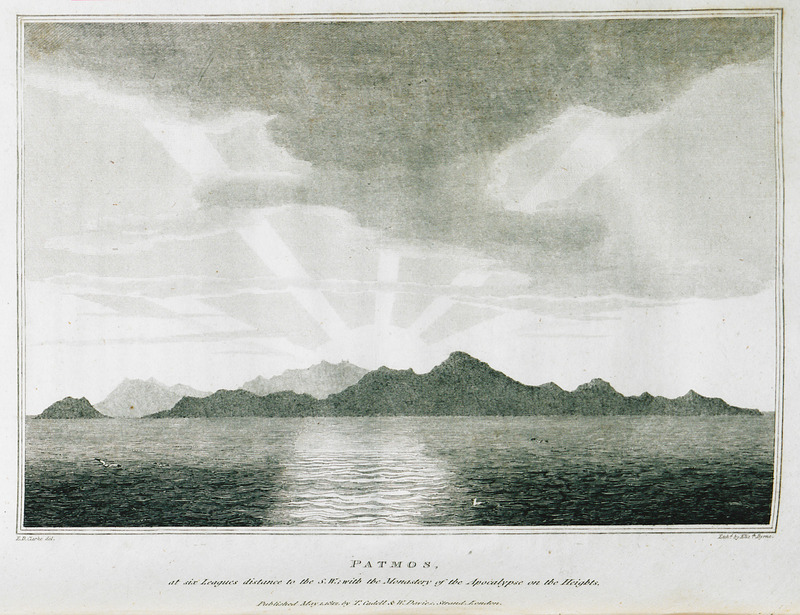 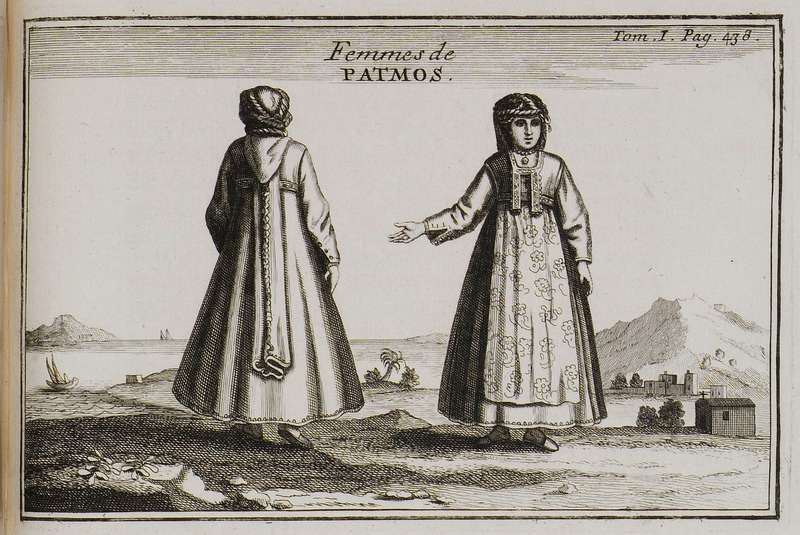 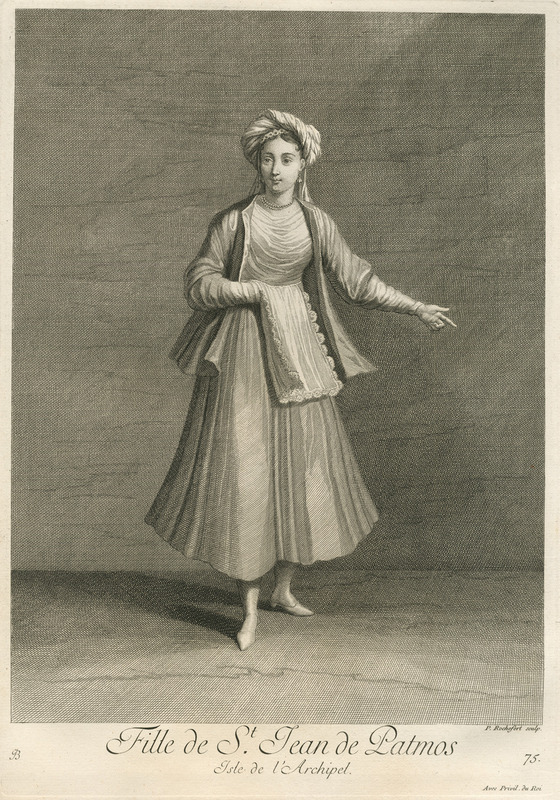 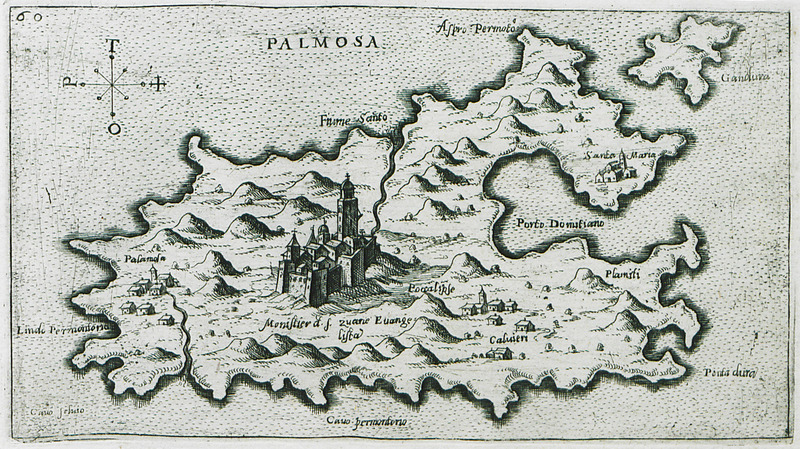 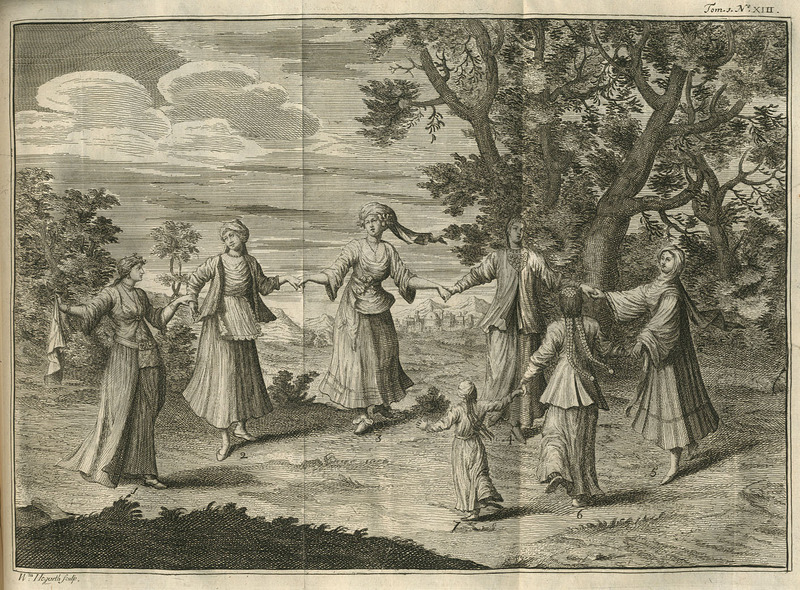 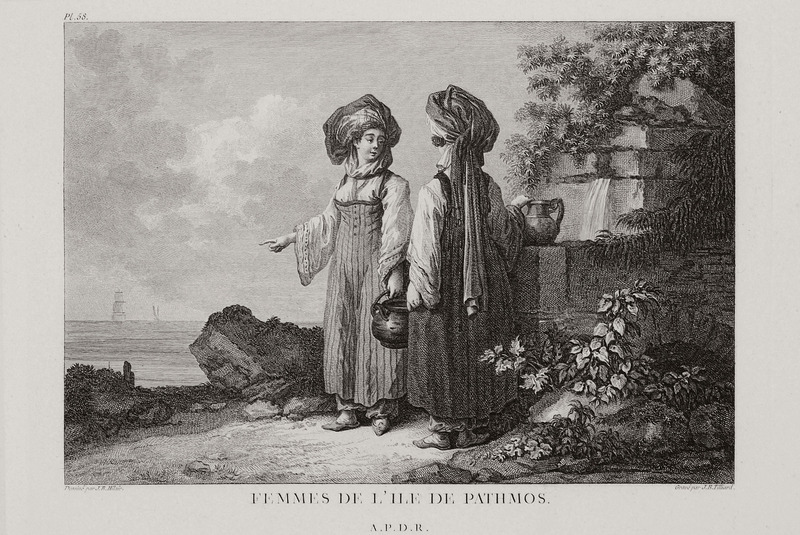 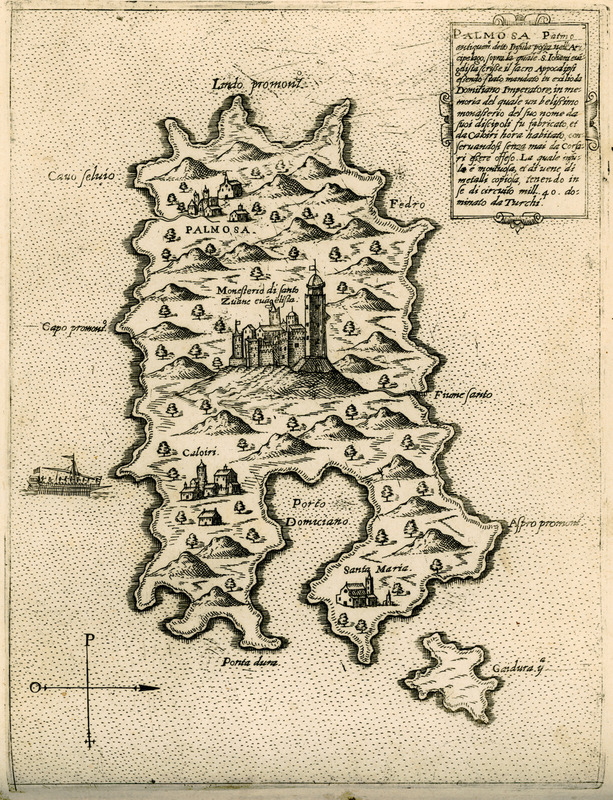 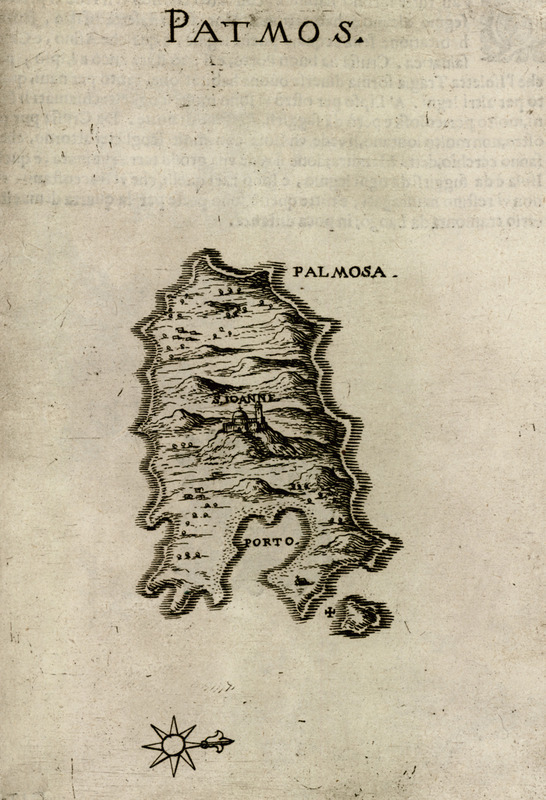 Patmos at six leagues distance to the S.W. 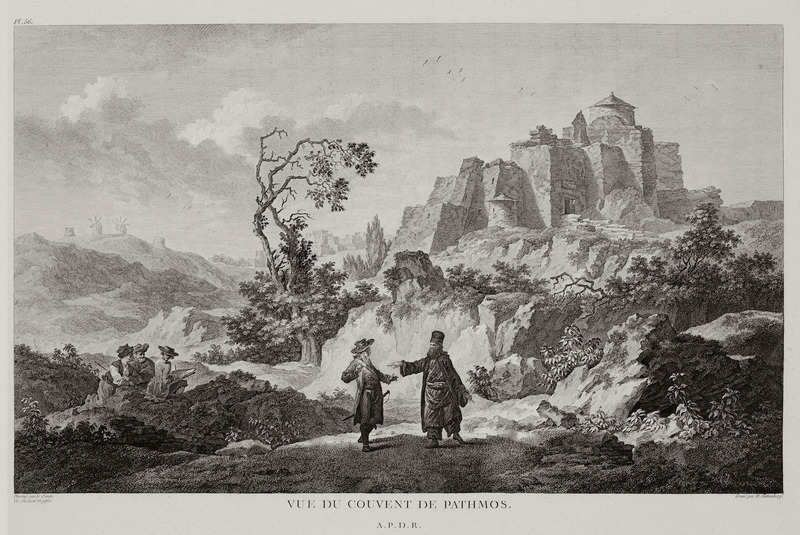 with the Monastery of Saint John the Theologian on the Heights. 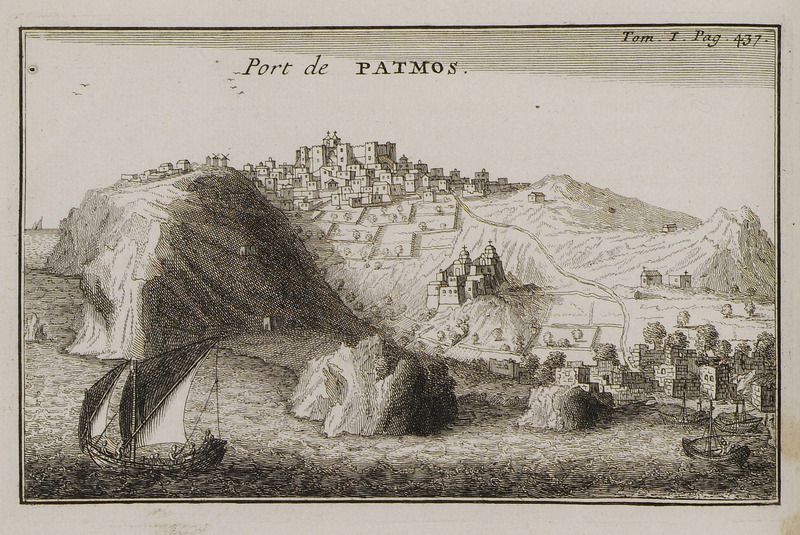 View of Patmos with Chora and Monastery of Saint John the Theologian. 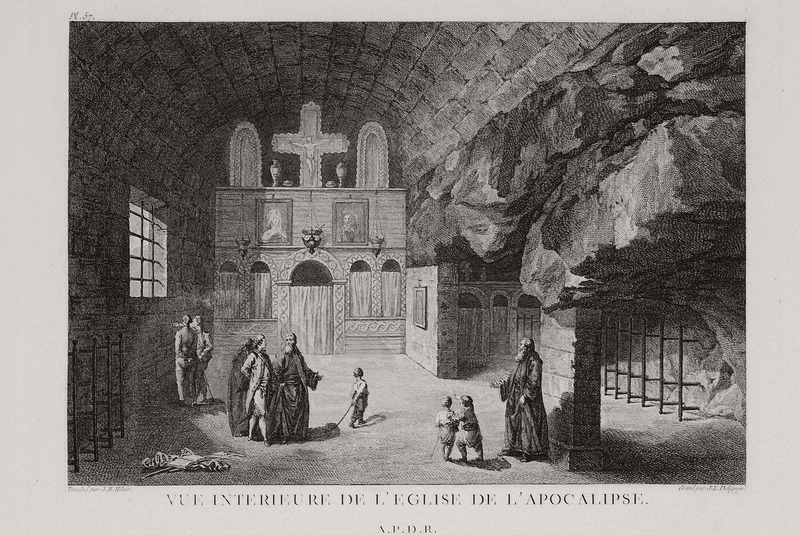 Cave of the Apocalypse in the background. 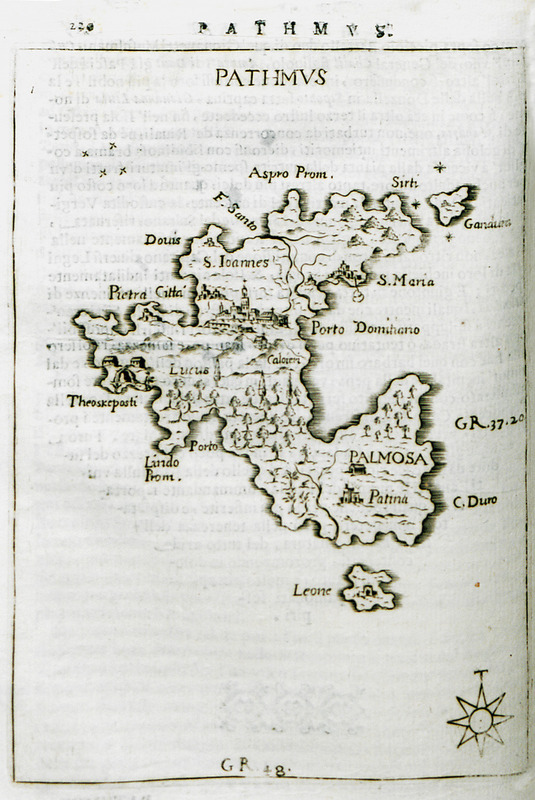 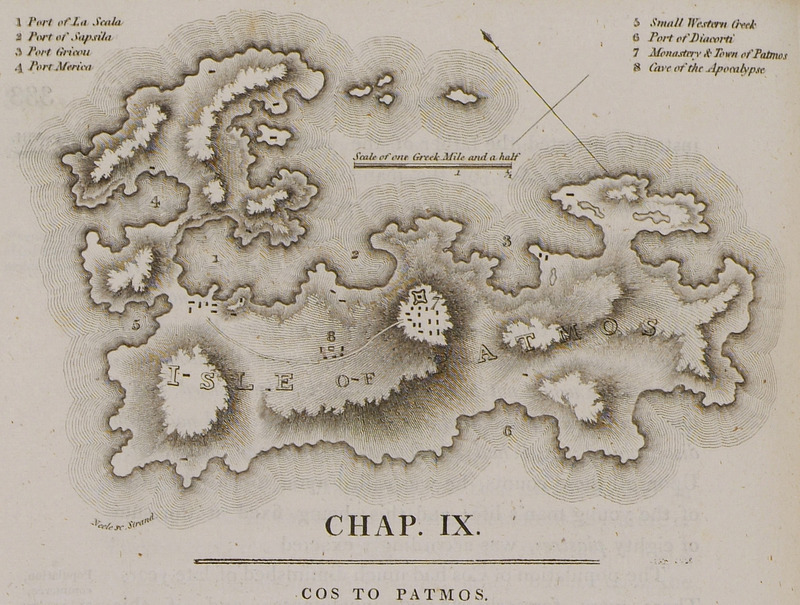 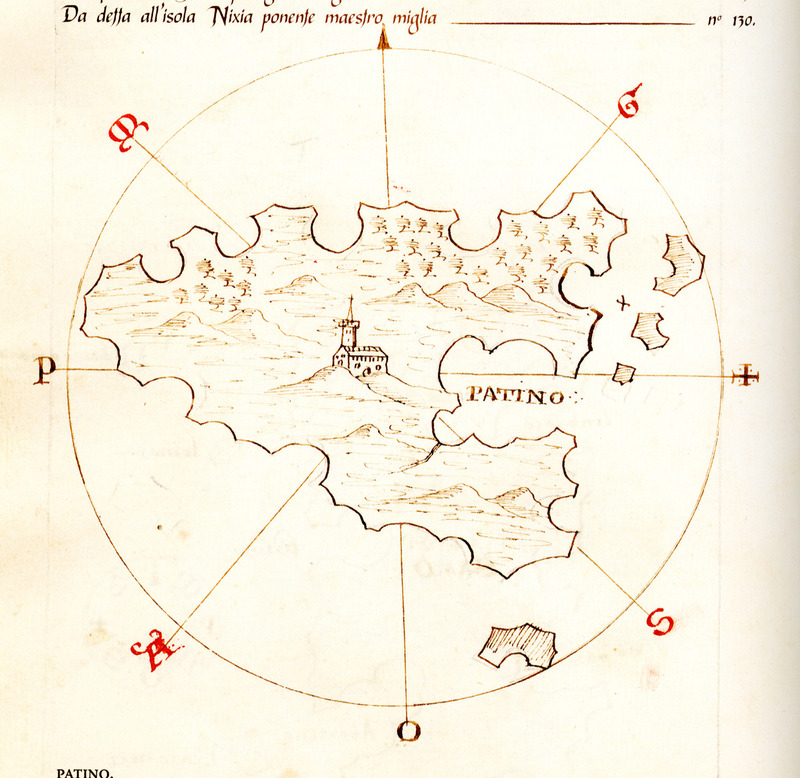 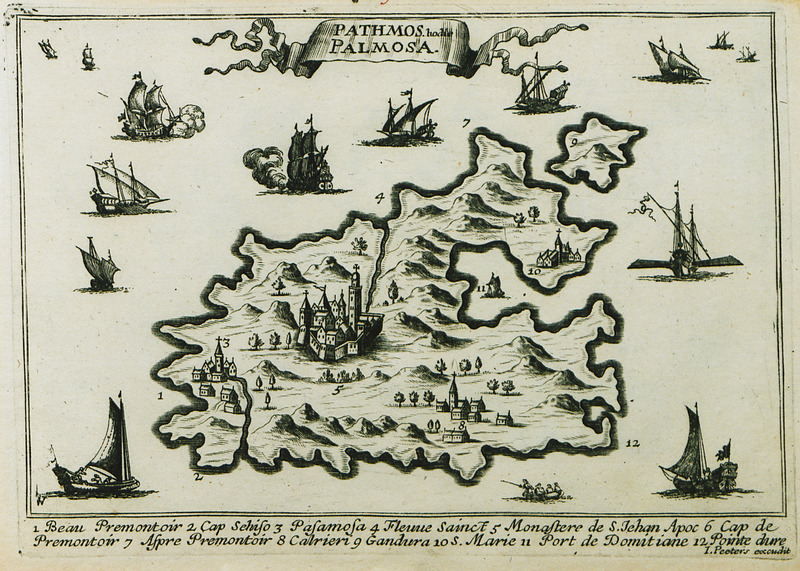 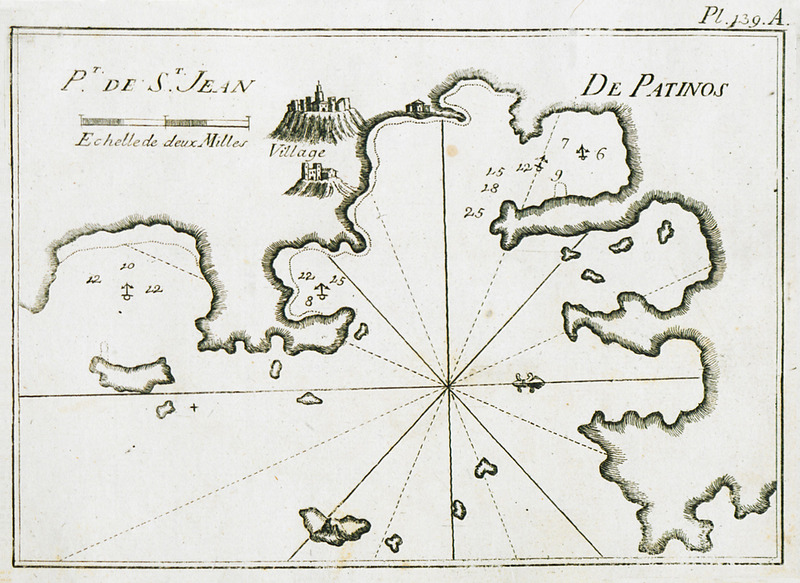 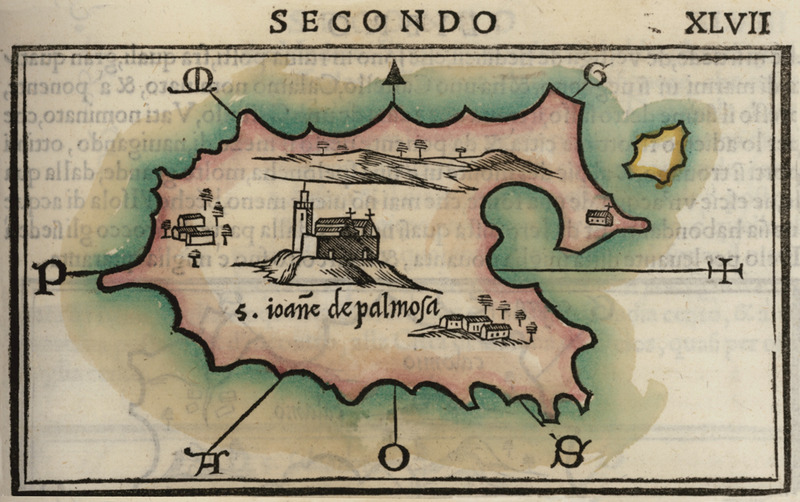 Map of the port of Patmos. 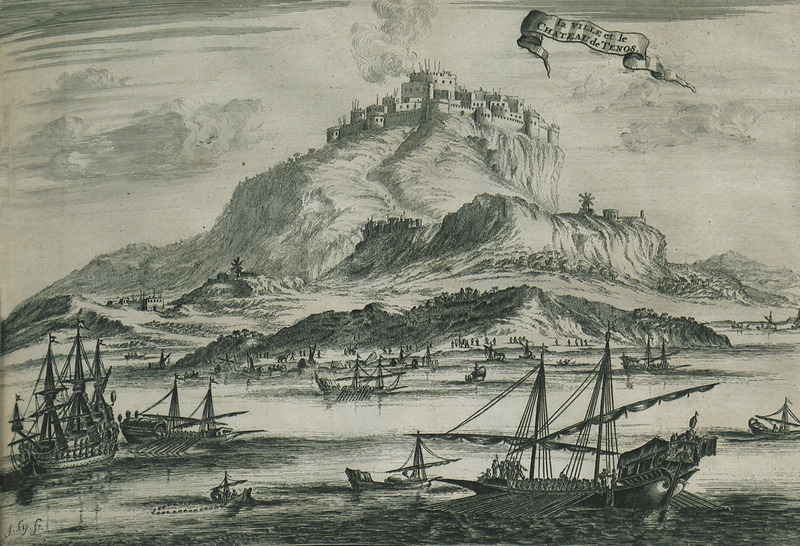 View of the city and of the monastery of Agios Ioannis Theologos. 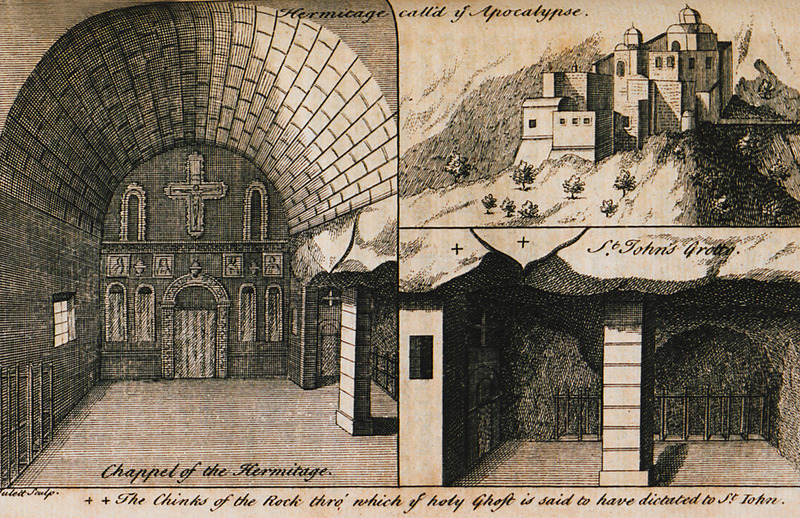 The Cave of the Apocalypse, Patmos island. 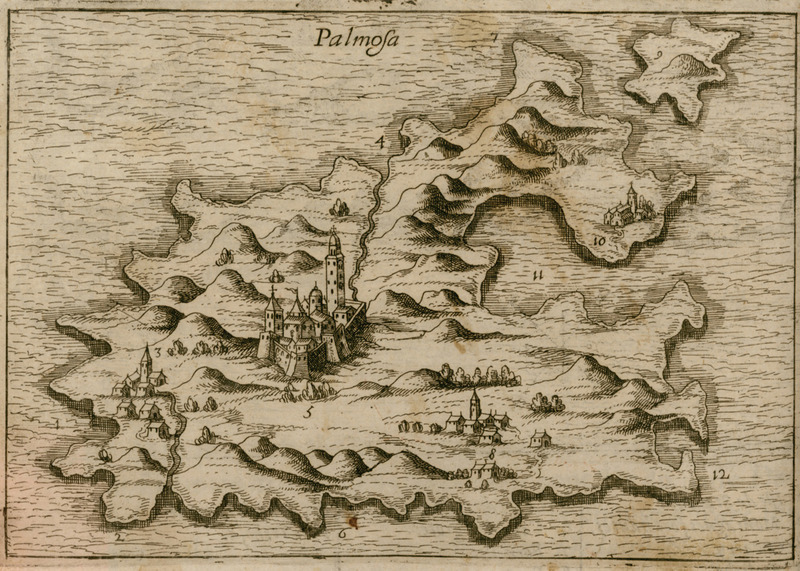 The monastery of Saint John the Theologian, Patmos island. 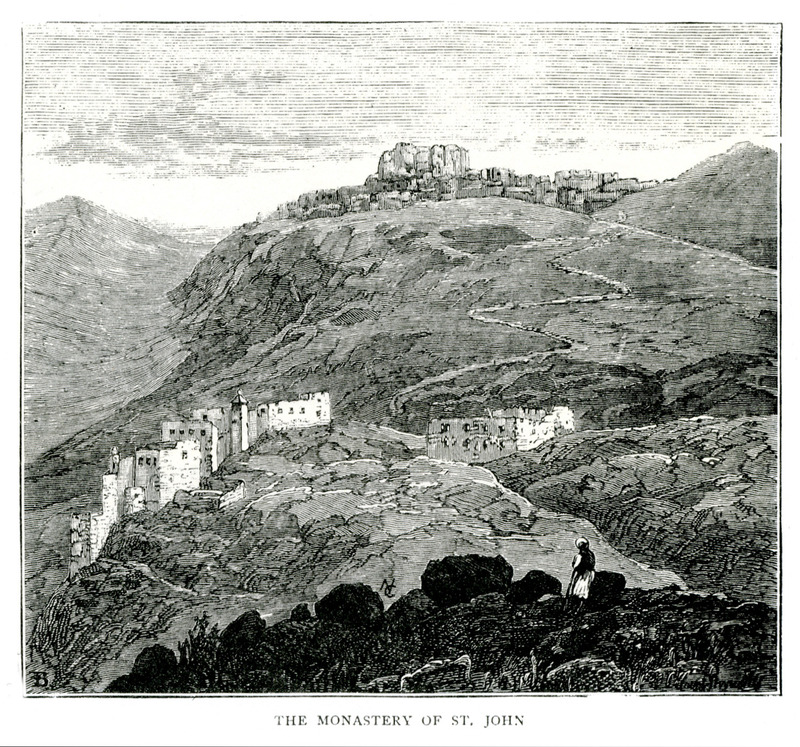 The Monastery of Saint John the Theologian on Patmos island. 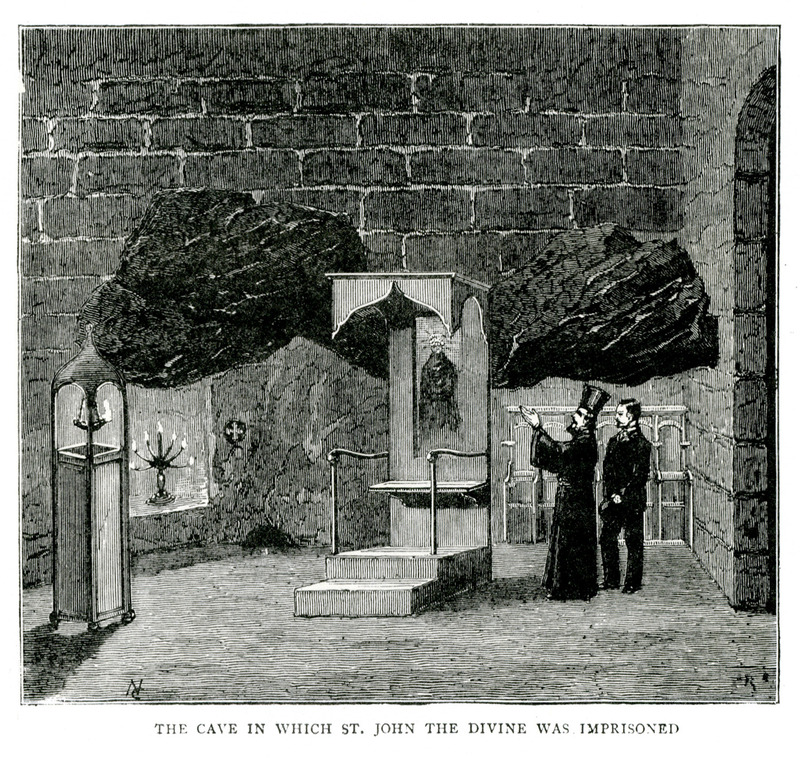 The cave of Cave of Saint John the Theologian, or Cave of the Apocalypse, on Patmos island. 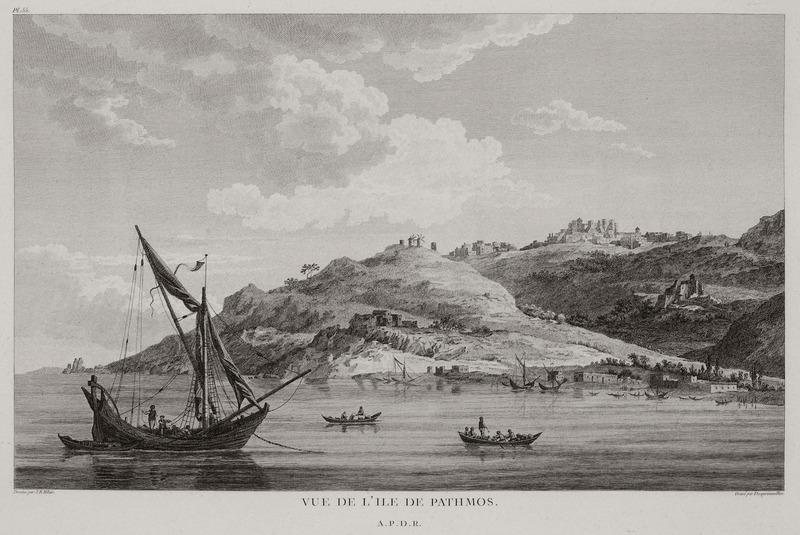 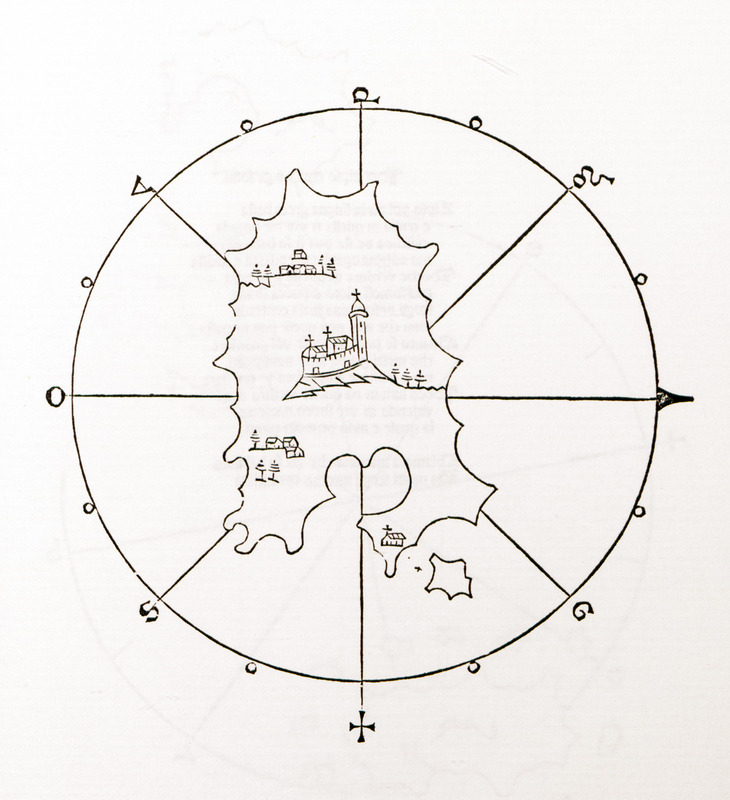 Drawing of the remains of the northern wall of the Acropolis of Castelli, Patmos (situated to the north of Chora of Patmos).